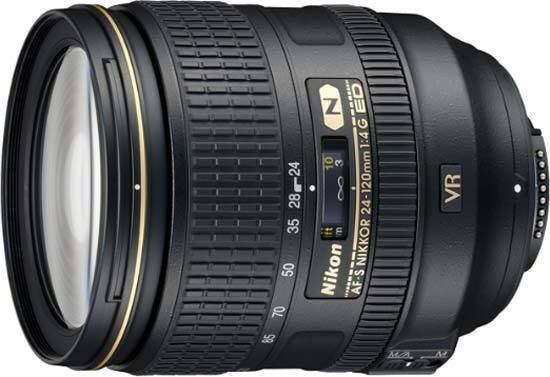 The Nikon AF-S Nikkor 24-120mm f/4G ED VR has turned out to be a pleasant surprise, easily exceeding our expectations. Its sharpness, while not quite as “biting” as that of Nikon's most prestigious primes and zooms, is very good at most focal lengths and f-stops, which is great news given that its predecessor has been oft criticised for being overly soft at some settings. This, combined with the immensely useful focal range, well-implemented Vibration Reduction system, fast auto focus and respectable build quality, makes the AF-S Nikkor 24-120mm f/4G ED VR one of the most attractive lenses in the Nikon line-up. All is not rosy though as the new lens still has a number of weak points including some heavy corner shading and quite a bit of chromatic aberration at maximum aperture, a somewhat “nervous” bokeh and a hefty dose of geometric distortions. While the amount of barrelling seen at the 24mm end is roughly in line with what one would expect from a lens that zooms out this wide, the pin-cushioning seen throughout most of the zoom range from about 50mm to full telephoto is definitely stronger than what we are accustomed to seeing in a modern lens. On a more positive note, both the barrelling and the pin-cushioning are relatively easy to fix in post-processing, while CA and corner shading can even be dealt with in-camera. Given how much better this lens is than its variable-aperture predecessor, its substantially higher price seems justified. But with the also-new 28-300mm f/3.5-5.6G ED VR – which also appeals to those who would like a single lens to cover every shooting situation they might encounter – clearly being more affordable, the question of which one to choose cannot be avoided. The answer will, of course, be highly personal – some people are bound to find the extra telephoto reach, better close-up performance and lower price of the other lens more attractive; while others will prefer the lighter and more compact build, the extra 9° angle-of-view at the short end and the more consistent sharpness of the 24-120mm f/4G ED VR. Our own verdict is that while the new 24-120mm lens might not be cheap, it may well be the only lens you'll ever need (unless you are looking to shoot architecture, sports or wildlife professionally, in which case you'll probably need to buy a couple of specialised lenses). For DX shooters, this 24-120mm zoom may not work as a one-lens solution, but can function very well in a two-lens setup if complemented with either the 10-24mm or the 12-24mm DX wide zoom.